Ever wondered what it would like to be an archaeologist? Digging Jerusalem allows you to explore the layers of history of Jerusalem as an archaeologist would, with nearly 150 objects awaiting discovery within the site. 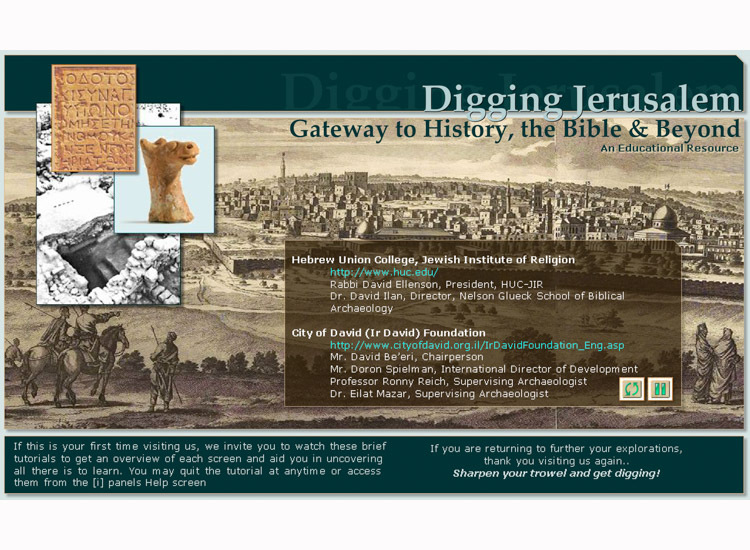 The virtual archaeological dig is based on actual excavations in the City of David. Dig back through time to discover the rich and turbulent past of the city of Jerusalem! Designed by George Blumenthal and implemented by Ardon Bar-Hama, the virtual dig is an excellent educational resource bringing Bible and archaeology to life for students in the twenty-first century.